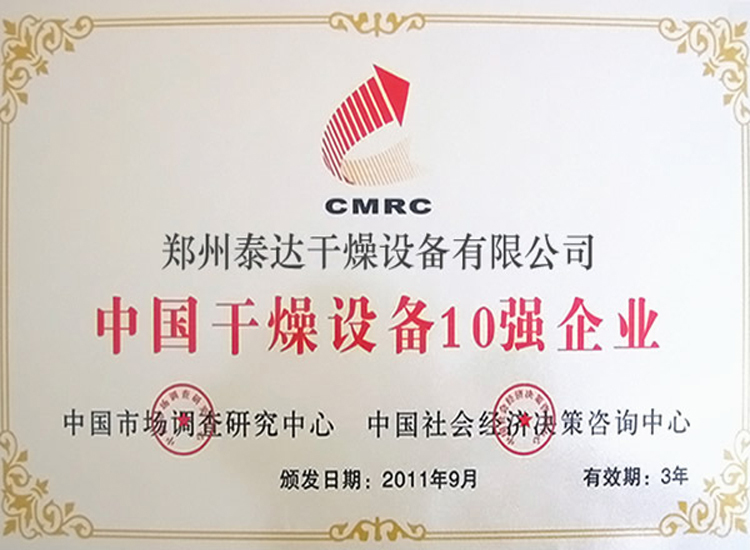 Application range: can be applied to disposing active sludge disposal, paper sludge disposal, dyeing sludge disposal, coal washing factory, sewage factory, electroplating sludge and chemical pharmaceutical sludge. Generally speaking, there are four kinds of methods to disposal sludge: landfill, incineration, seal disposal and land utilization. 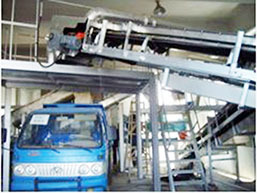 Foreign countries regulates strict laws on sludge disposal. The disposal process must be safe and will cause no secondary pollution. 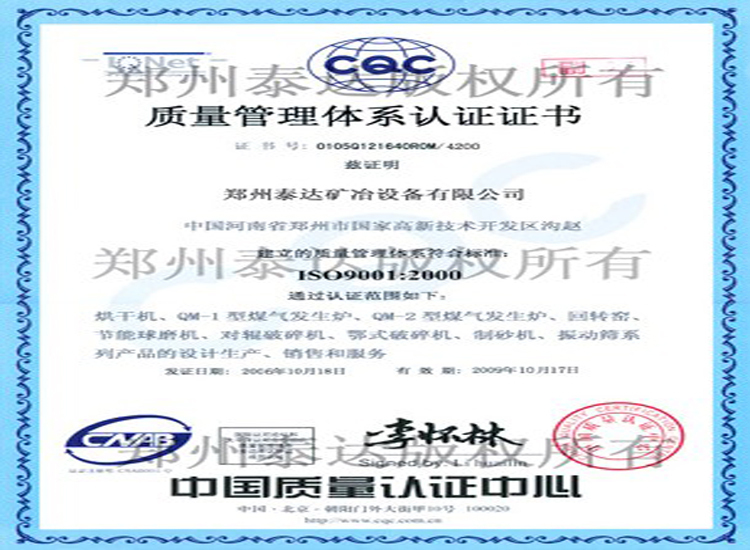 Therefore, foreign dehydration technologies pay much attention to tail gas disposal and odor control. The early ESP direct heating system introduces outer air to dryer. Evaporate moisture in sludge and transport sludge. In terms landfill, according to policy in European waste disposal and treatment, from 2002, European countries started to tax to sludge landfill in order to reduce sludge pollution. Till the year of 2005, landfill is totally forbidden. Owing to environmental and economic pressure, the former 3 methods are less and less. Sea dumping is banned by international sea law. The requests for equipment are different for different sludge. Municipal sludge is very sticky. 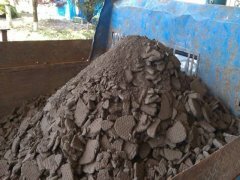 In the drying process, there is a special sticky stage where sludge easily form lumps which are difficult to crush. In order to overcome this difficulty, back-mixing process is produced. By controlling mixing proportion, reach to the 90% solid content. In this way, the stickiness is greatly reduced. Thus, energy consumption is reduced. 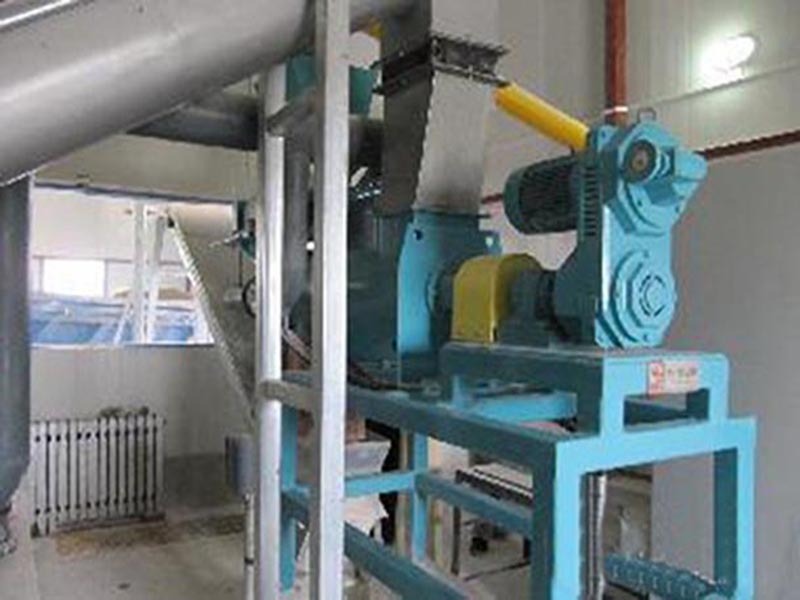 For factory sludge and municipal sludge, people choose to use incineration method which provides convenience to get thermal energy from wastes and causes no secondary pollution. However, drying process is needed first for those two methods mentioned above. In addition, majority of sludge contains abnormal smell. Therefore, deodorization process is needed. Hot air drying is characterized by large gas displacement. Conduction heating drying is characterized by small gas displacement. If you adopts the latter drying process, the investment and running cost for tail gas disposal can be greatly reduced. 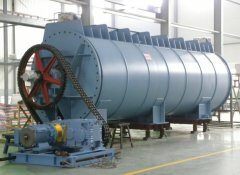 Majority of users are likely to regard rotary drum dryer as basic form and reform various drying equipment according to quality of sludge owing to high thermal efficiency and less cost of this equipment. Also, sludge is not a kind of product with high added value. 3. 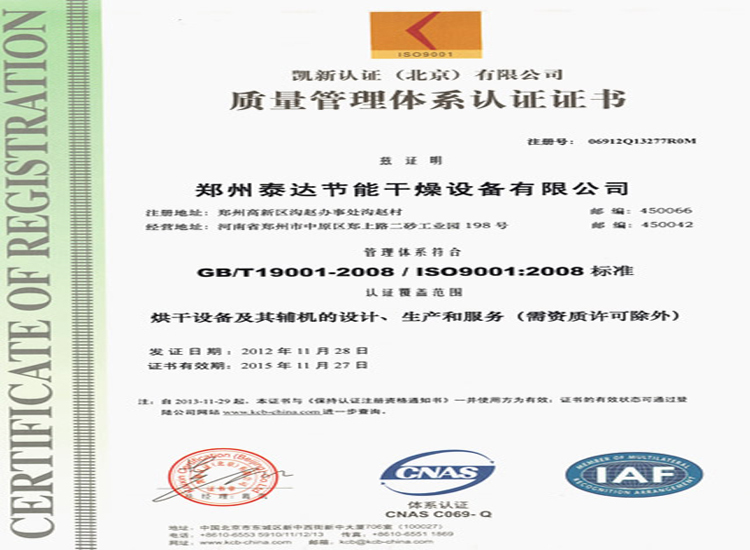 In order to realize best drying effect, the equipment adopts concurrent drying method. Material will enter drying equipment with heat source air from the same side; the outlet of dryer is with low temperature and high thermal efficiency. 5. 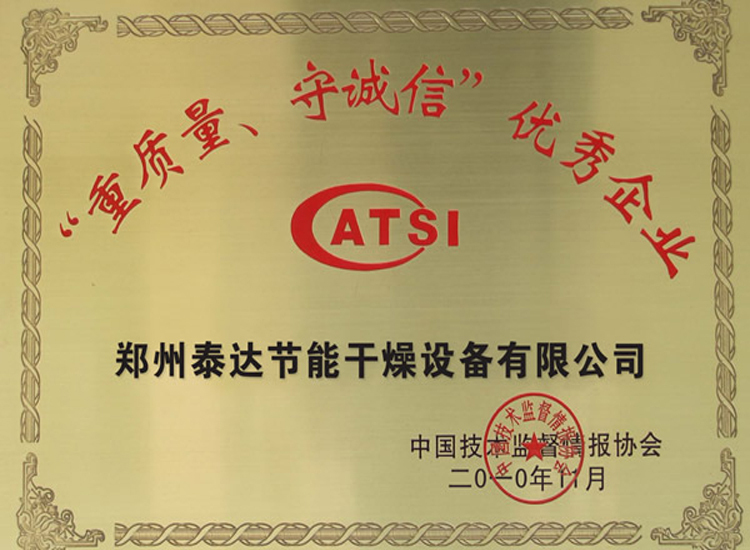 We innovate our structure and strengthen clean and conducting functions. It also eliminate the wall-sticky phenomenon. 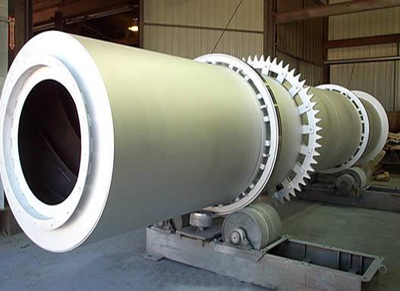 Rotary drum dryer has been successfully applied to food, chemistry, petrochemical, dyestuff and industrial sludge. The feature of heat conducting, cooling and agitating makes our equipment realize following operations: combustion, cooling, drying heating, reaction and sterilization. With big heat transmission area, disposal time will be reduced accordingly.